Beautiful ornate scrolls adorned with pretty lemon crystals make this hair comb simply dreamy. 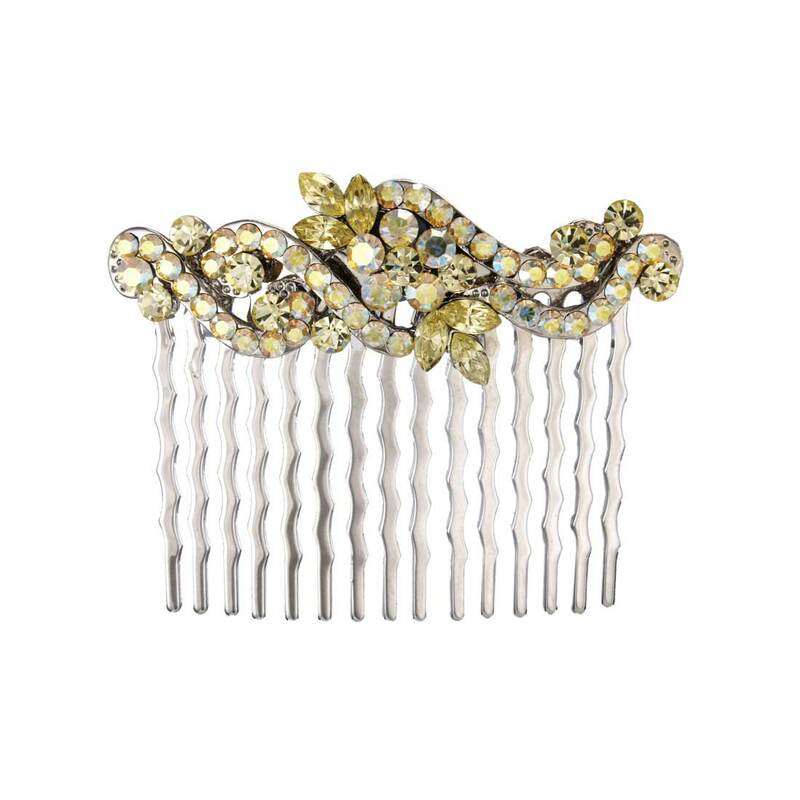 Oh so pretty, this chic vintage inspired silver tone hair comb is adorned with pale lemon and AB Austrian crystals. The design features an ornate scroll with floral centre and takes its inspiration from genuine antique hair combs. Perfect to add a subtle touch of colour to a chic chignon or loose curls, this would also make a beautiful wedding hair comb for bridesmaids wearing lemon or pale gold gowns or to compliment a pale yellow bouquet.